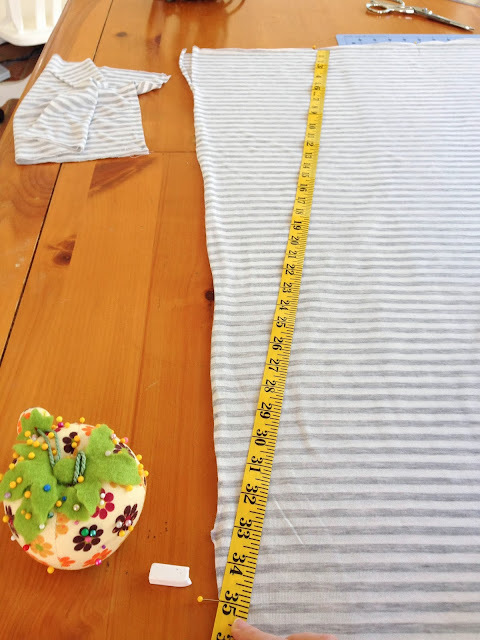 This skirt can be completed during nap time, it's that quick and easy! 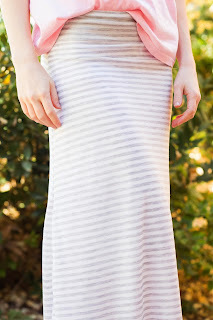 The folded over yoga waist band makes this skirt extra comfortable too. 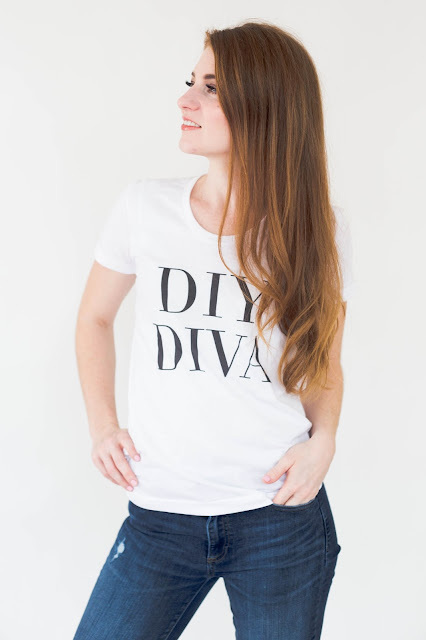 We think it would also be cute with our fun DIY DIVA tee in our shop. You made the skirt, flaunt it! 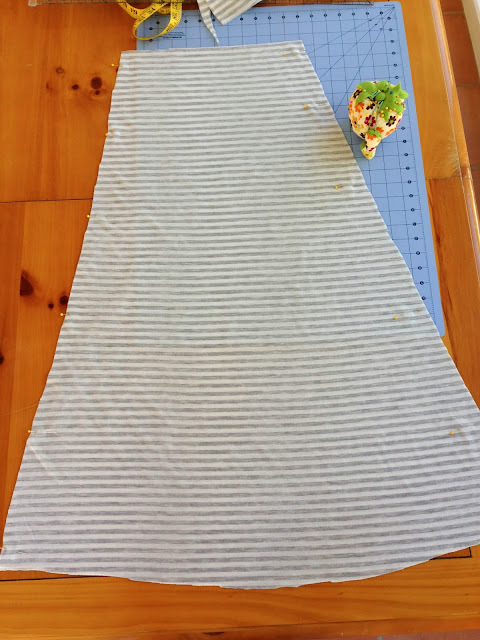 After following probably 5 maxi skirt tutorials and discovering they didn't work out well, I decided to take matters into my own hands and now I'm going to show you all how to make a maxi skirt. A bunch of tutorials out there have you cut the bottom of the skirt straight across, which just doesn't work too well when you put it on. I discovered that the skirt needs to have a slight curve so your side seams aren't poking out saying hello to everyone. 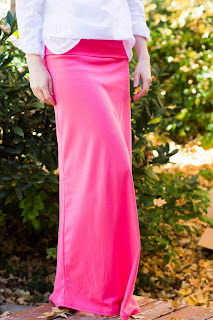 So grab you supplies and lets get started on this maxi skirt tutorial! Keep in mind that I always sew at the edge of my presser foot. 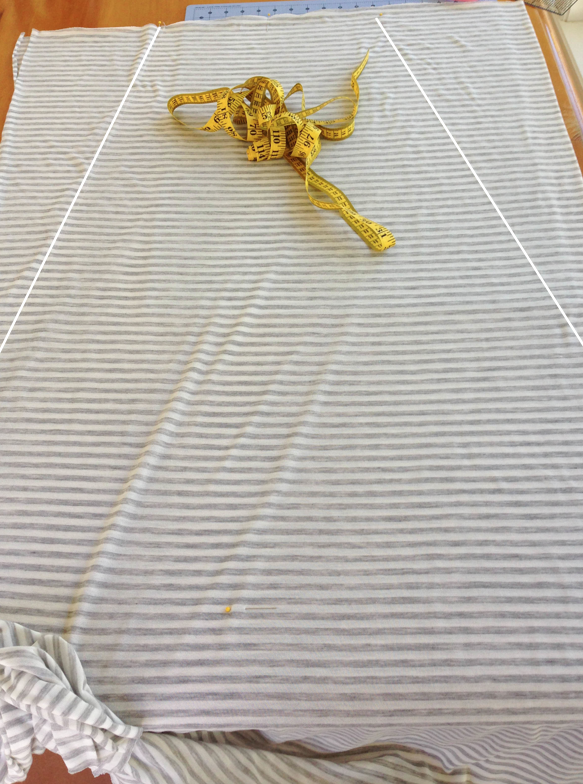 Be careful not to stretch the fabric as you sew. 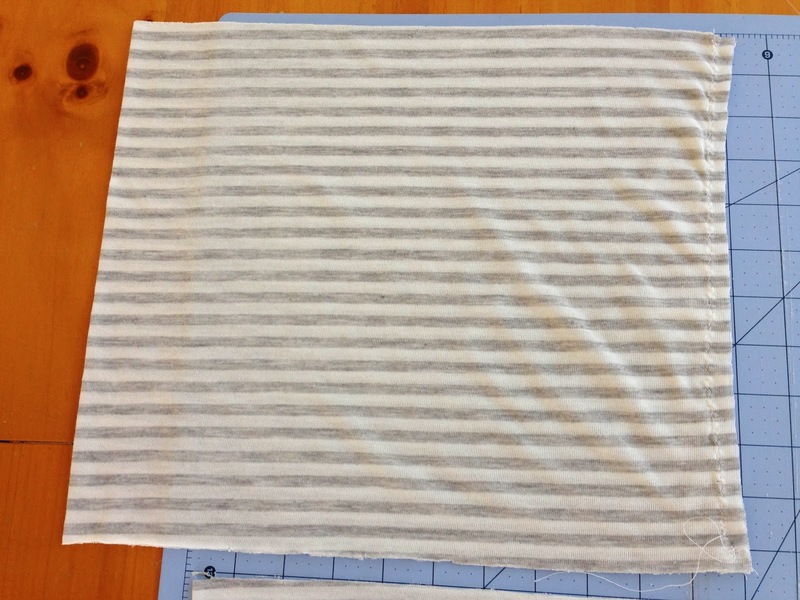 Widen the stitch length a little so it's easier to sew. Use a ballpoint needle. It's designed for jersey knit fabric and keeps it from fraying where it pierces. 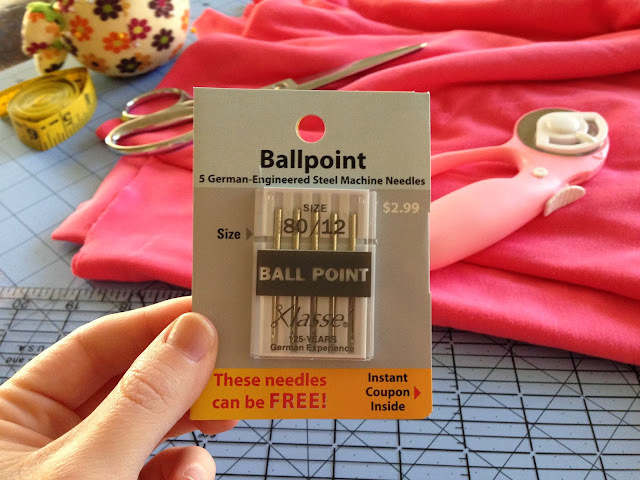 Other needles will fray your jersey knit fabric with each pierce. I linked to some that fit all sewing machines. Lay out fabric the same way it comes in the bolt, or in other words, the fold is on the left and the selvage edge is on the right. Measure your waist. Mine is 28". Divide that number by 2 to get your "half waist measurement". So that makes my "half waist measurement" 14". 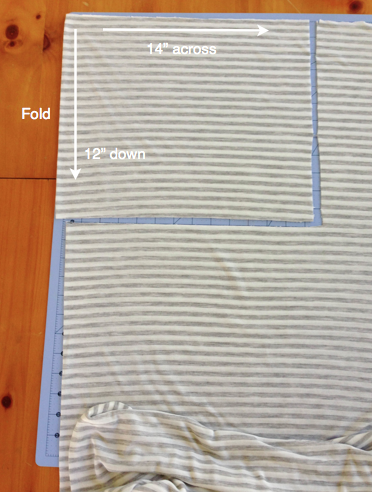 Cut a rectangle at the fold that measures 12" down and your half waist measurement across. 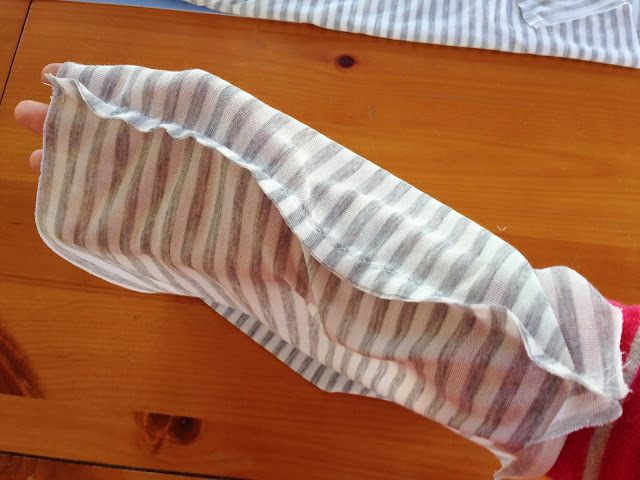 Sew a zig zag stitch down the opposite side of the fold, creating a tube. Set this piece aside for later. 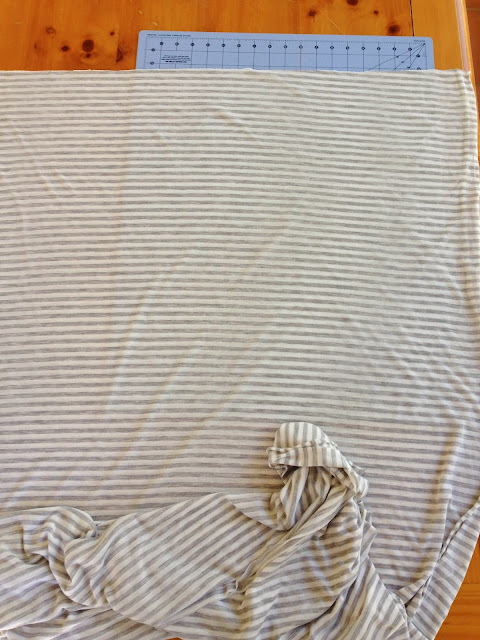 Turn your fabric around so you have a fresh clean edge at the top, the fold at one side, and the selvage said an the other. 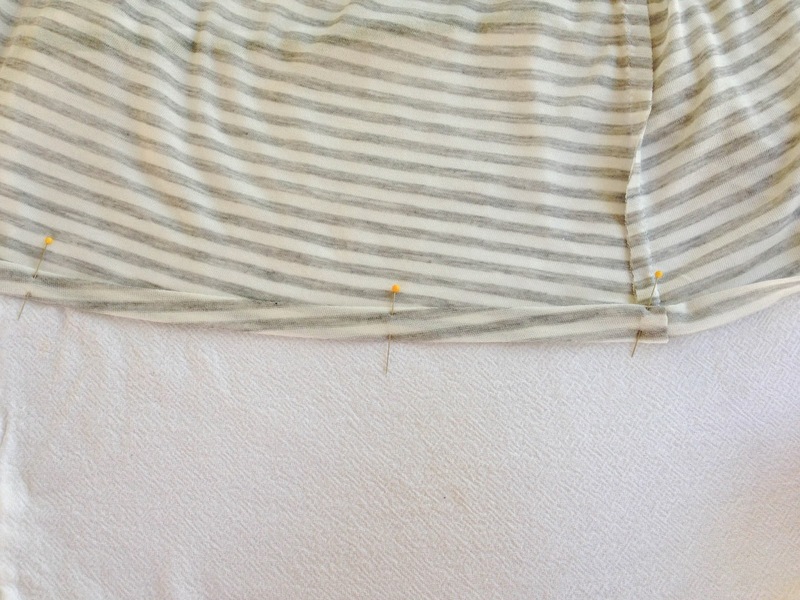 At top of fabric, find center and mark with pin. With your measuring tape, take your "half waist measurement" (mine is 14") and stretch it across the center mark evenly. I have 7" on either side of the center mark. Pin to mark top sides. 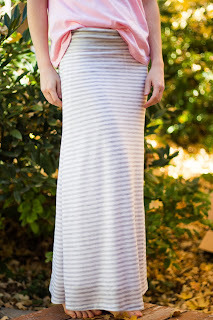 Find the length of skirt by measuring from your hip bone down to the floor, or wherever you want the skirt to end. Mine is 34". Add 2", which makes mine 36". 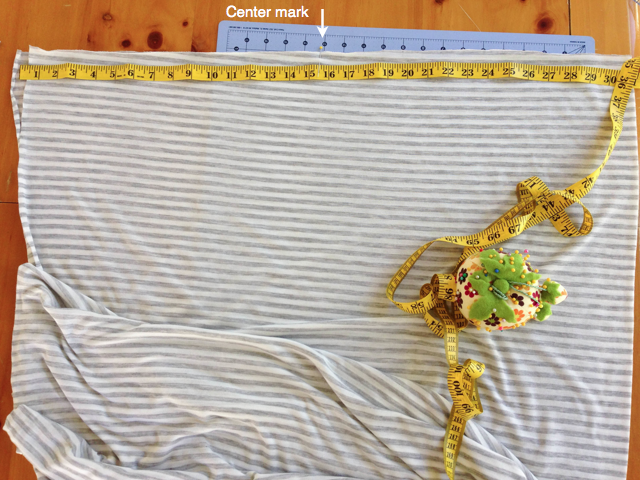 From the top center mark, measure down the middle length of the skirt and put a pin in the center bottom of the skirt. 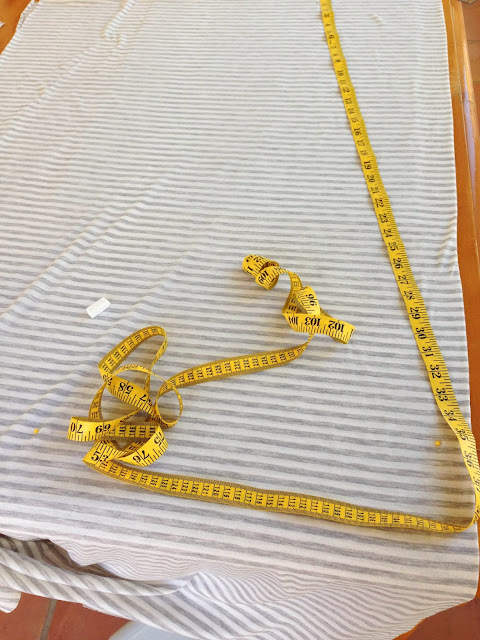 To mark the sides, take the length measurement (mine is 34") and add 1" (mine equals 35"). 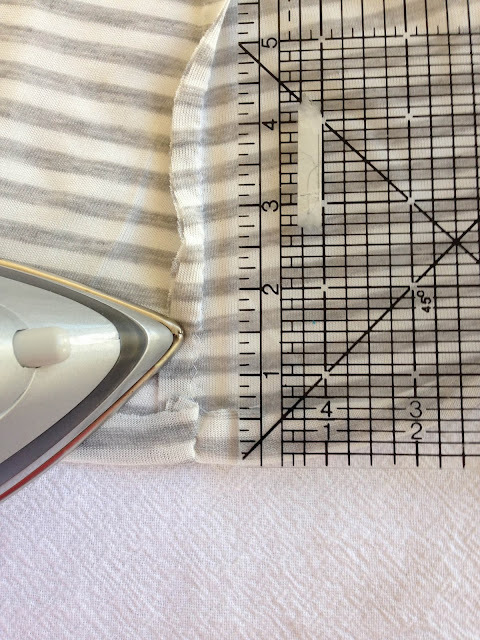 From the top side mark, measure down the length of the skirt to the edge of the fabric (35" in my case) and mark with a pin at appropriate length. 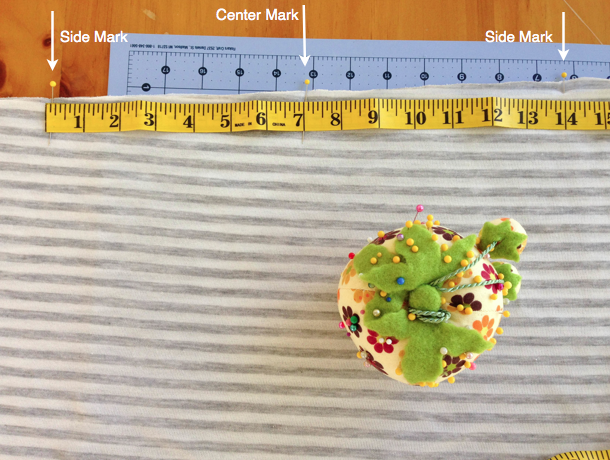 Run a line of chalk against the measuring tape so you can see where to cut. With chalk marks, this is what it will look like. 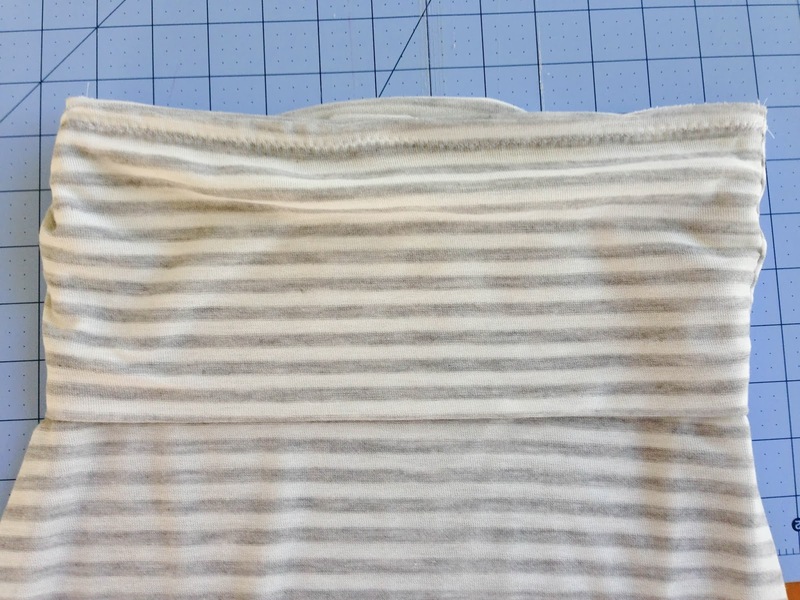 At the bottom of the skirt, draw a gentle, slightly curved line from the bottom side mark, then to the middle curve mark, then to the other side mark. Sew a zig zag stitch down the sides. Go back to your rectangle piece. 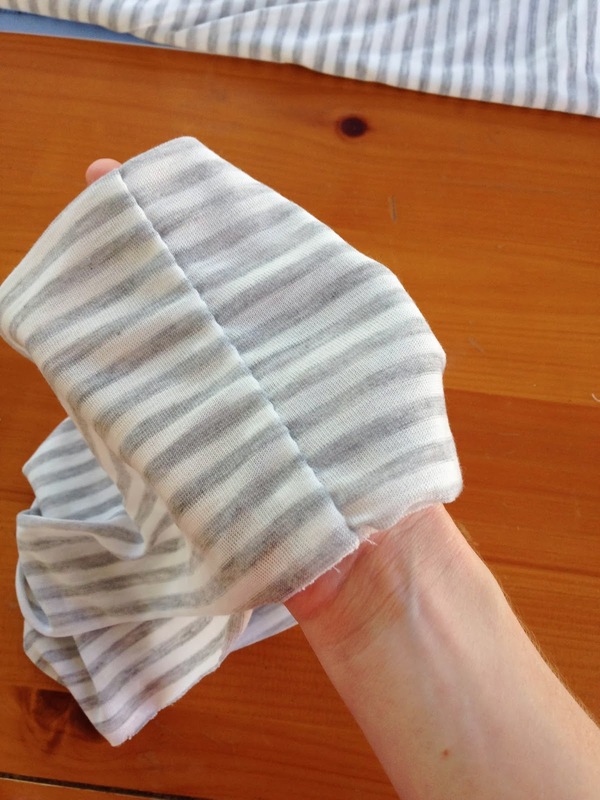 At the seam, put your hand through it like a tube to shake it open. Fold the wrong sides together. Now it's half the height it used to be (should be 6" tall). Pin at 4 even points. 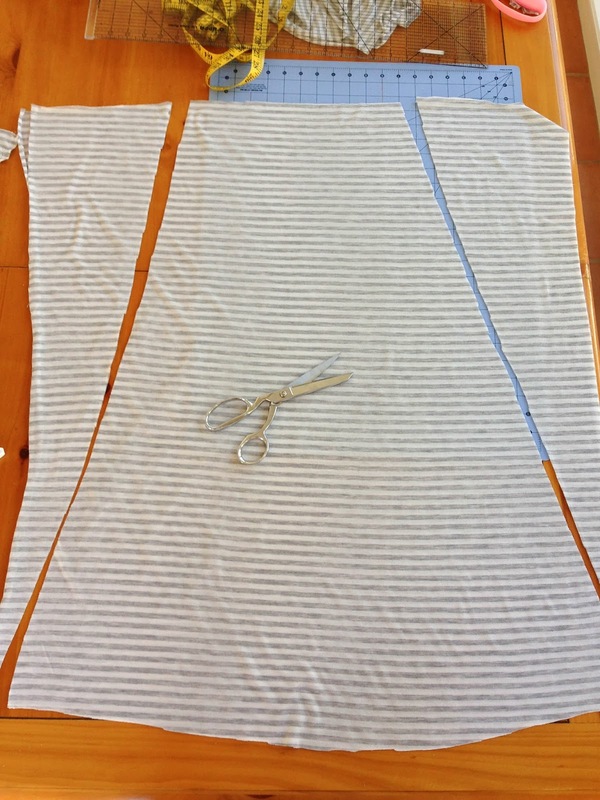 Start with the side seam, pin it. Yes there are two layers to pin through. Then mark directly opposite with a pin. Then mark the sides with pins. All 4 pins should be equally apart. Pull the skirt right side out. 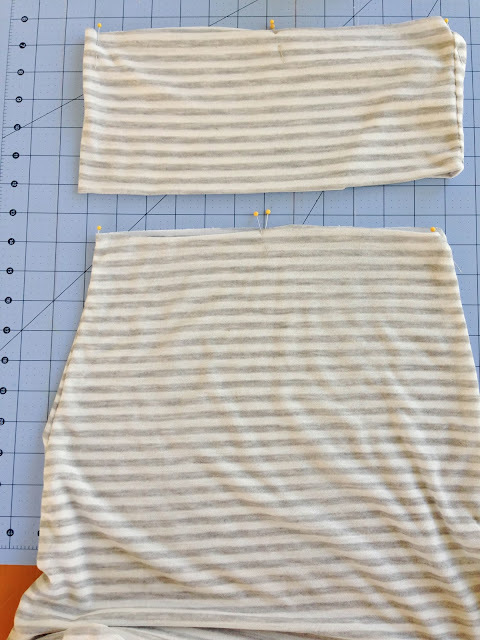 Mark the 4 equal sections of the top of the skirt the same way you did the waist band. One pin at each side seam, one pin in the front center, and one pin in the back center. 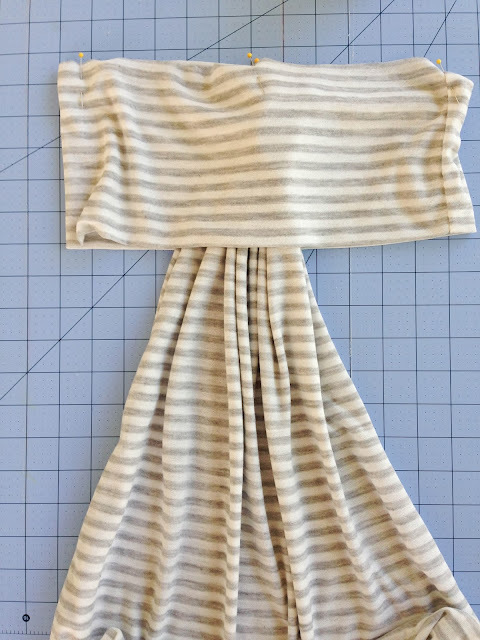 Lay the waist band and skirt like so; pins at the top. 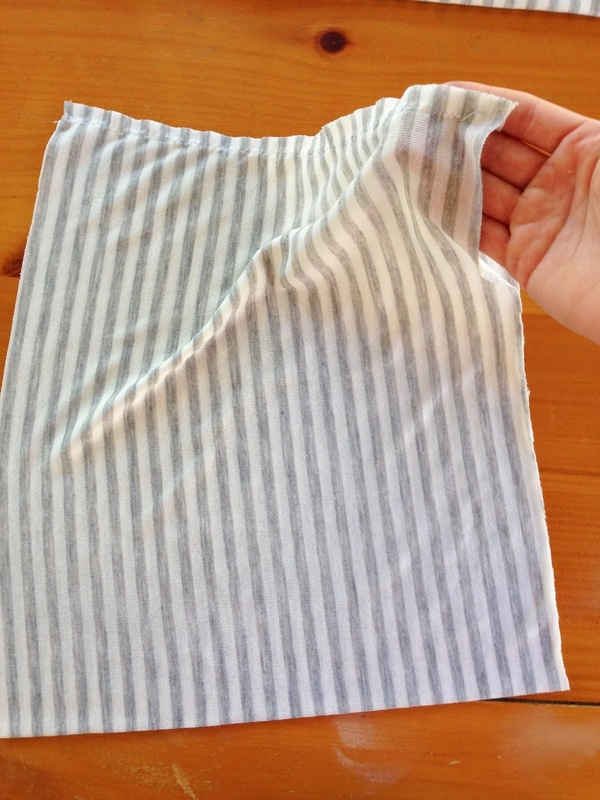 so that it easily slides into the center of the waistband. Line up side pins, front pin, and back pin. 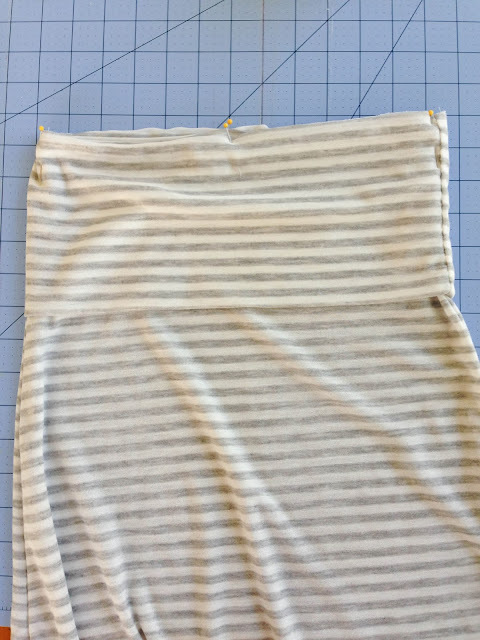 Make sure the side seam on the skirt lines up perfectly with the side seam on the waist band. Pin the skirt to the waist band. 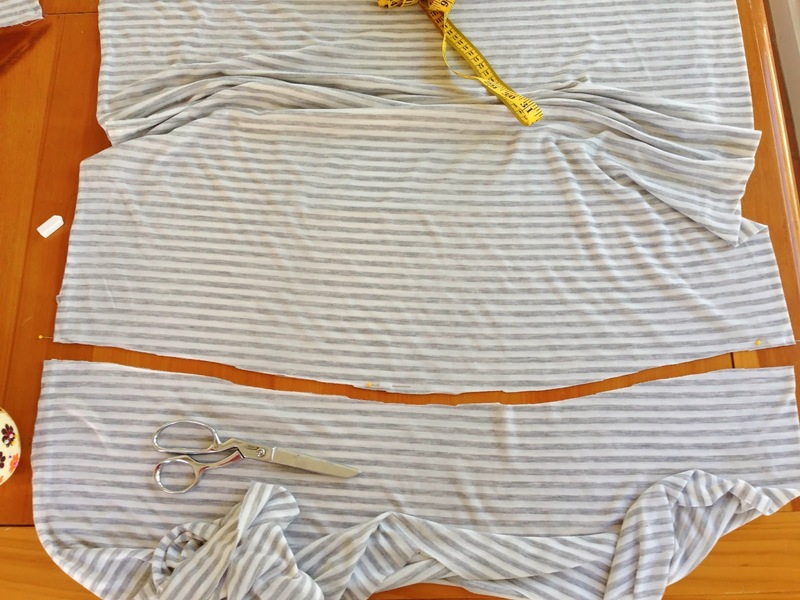 Sew a zig zag stitch around. It should look like this when you unfold the waist band. Hem the bottom. 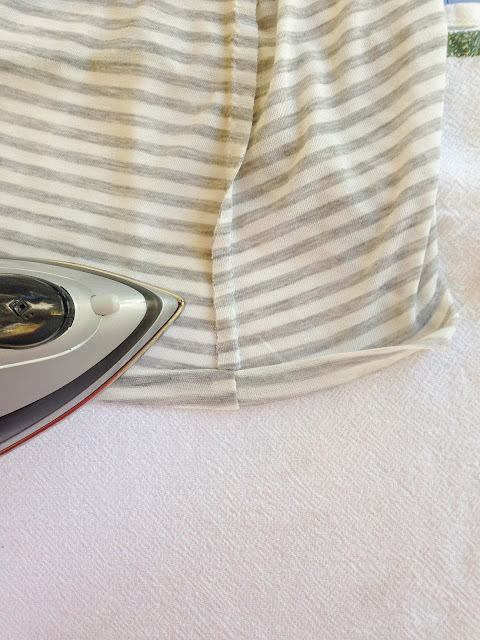 Since it is curved, it can be tricky and you really need to use an iron. Fold the edge up 1/2" and iron all around. "Press" with iron rather than rubbing it back and forth. Roll once more, press with iron, and pin in place. 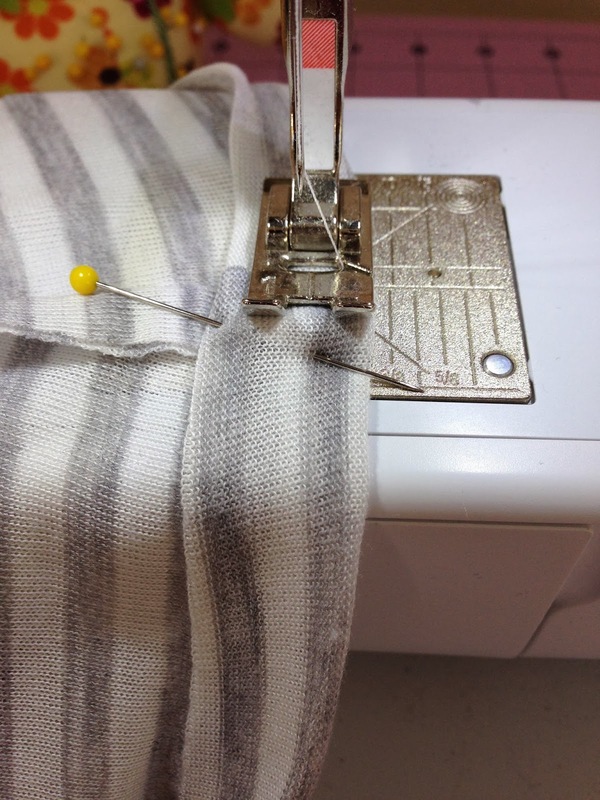 Sew hem with a straight stitch at the edge of the presser foot. Be careful not to stretch the fabric as you go. Once sewn, iron one last time for a very finished look. All done! Not too bad at all... I fold the waist band over for a better fit and cute style. Good luck to you all as you sew! Perfect! I've been looking for a good tutorial! Thank you! Great tutorial! Can't wait to make one! Just made this skirt! Thank you for sharing it was very easy to follow and turned out great! Just made this skirt. Very easy to follow and it turned out great! Thank you!! This is the best tutorial hands down! Thank you! My daughter and I just made two skirts in an afternoon! Thank you!!! Im so glad it has worked out so well for you! Love your tutorial. Just a quick question, did you JUST zig zag the side seams or did you straight stitch and zig zag? 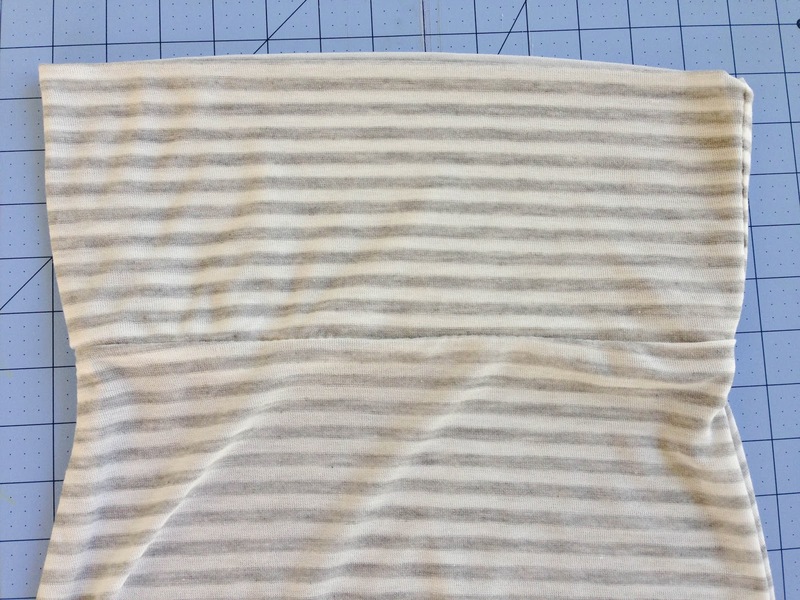 I just did a zigzag stitch, but I'm sure you could do both for an even better finish. I just have to say this tutorial is fantastic! I'm not that proficient at a sewing machine but it still only took me two hours to make one skirt. I know I'll be getting more fabric to make plenty more for the summer. Thanks for this great, easy-to-follow tutorial. 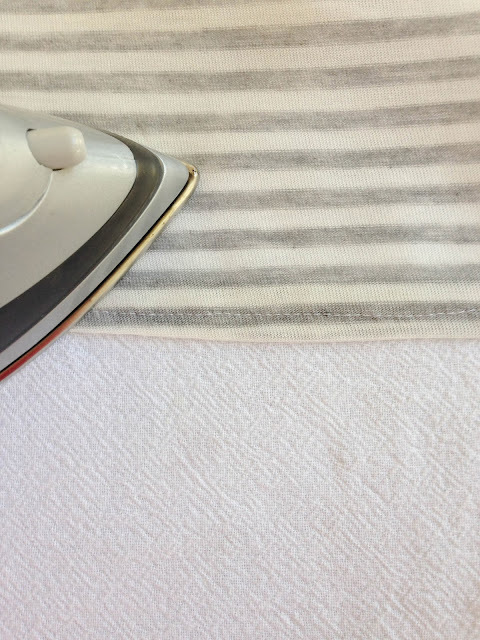 Did you pre-wash and dry the fabric before making the skirt? Can I do this with a serger? 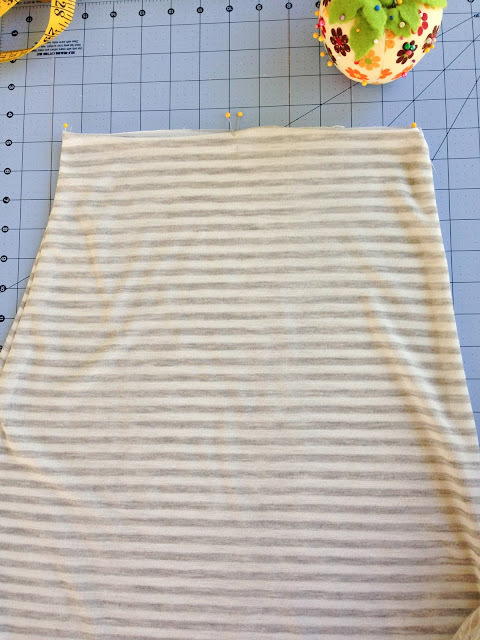 Can I do this with a serger ? Yes you could do it with a serger Jenell. It would finish off the seams nicer. Do you think I could make with 1.5 yards instead of 1 and 3/4? I have a bunch of jersey knit but I only have about 1.5 yards of it. Love this tutorial! 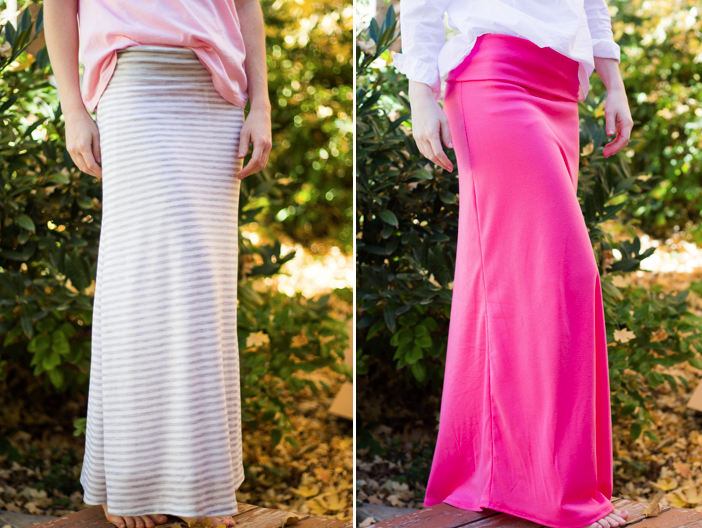 Have been wanting to make my own Maxi skirts for a while! I wear plus size clothes, between 18/20. 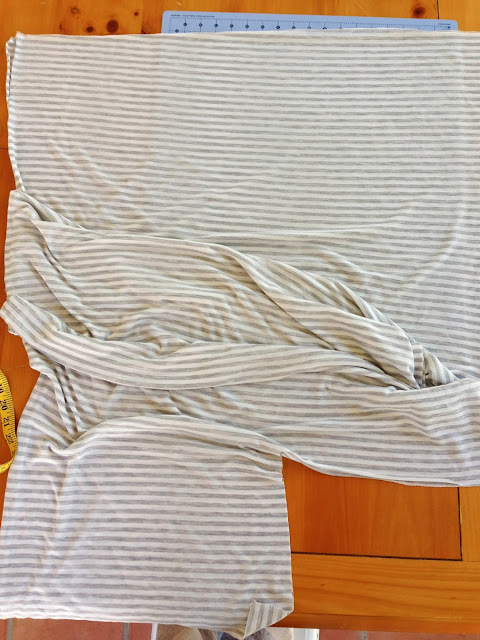 How do I calculate how much more fabric overall I am going to need? Thanks! That is a great question; it's been so long since I made one that I can't remember. But, I got it at Joanns so next time I go, I'll have to check on that. FANTASTIC tutorial! The finished project is a perfect fit. My 11 year old daughter just made her first Maxi skirt, thanks so much! Your tutorial makes it look so easy. 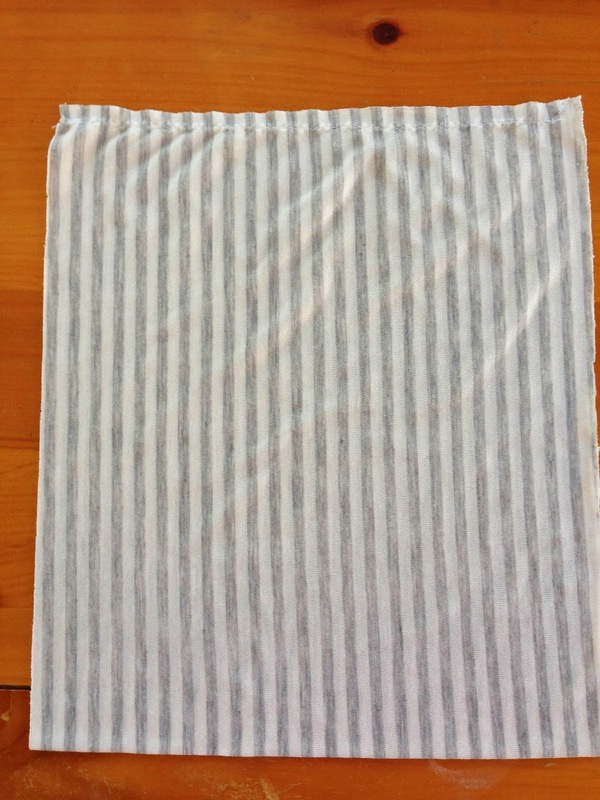 I am getting ready to make a maxi skirt for someone but noticed that you did not use an elastic bobbin for the waist. Most of the other tutorials I have looked at used this. I like your idea better. What is your opinion on this? 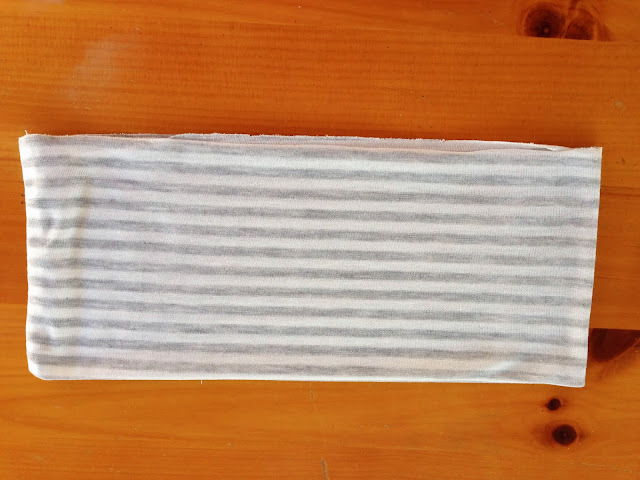 I didn't use elastic thread and I have had no problem at all. In my opinion, you don't have to have it. 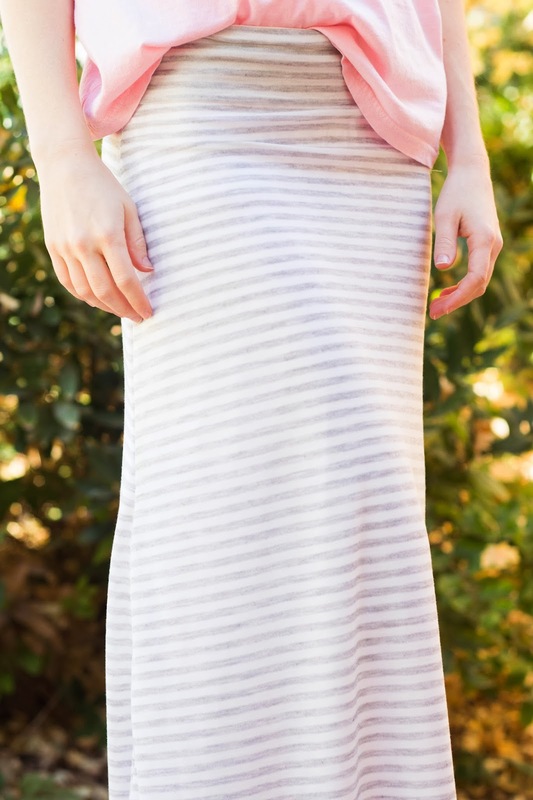 This skirt is made to fit you and with a zig-zag stitch you should be just fine. Thanks for your question. 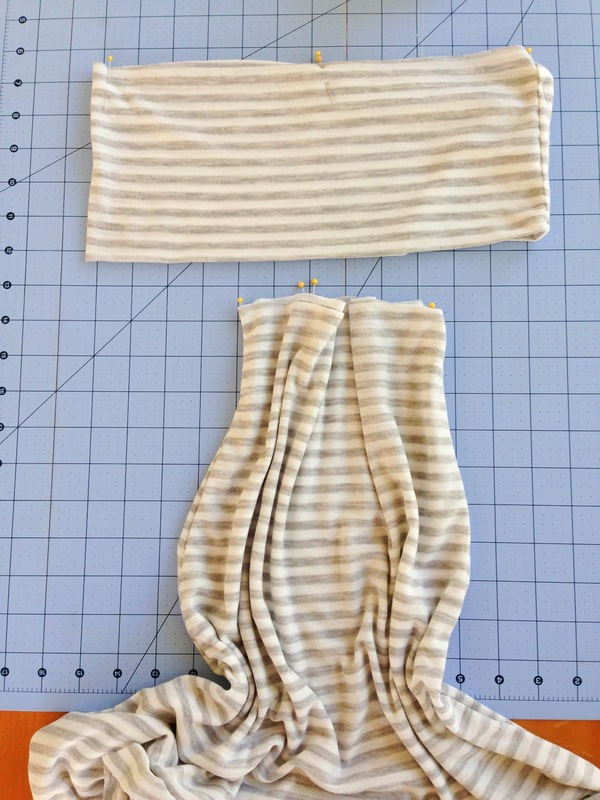 Do you recommend using elastic thread for the waist? Most of the other tutorials I have researched require this be used? I like you idea best. Lovely tutorial. Thank you! I can't wait to make skirts for myself and my daughters. What was your seam allowance? 1/4" or 1/2"? I always use my presser foot as a guide, so on the edge of the presser foot. Great tutorial.It was my first try at clothes (I sew lots for the home) and I loved it. If I were to make this again, I would make it wider through the hips, only because mine are a little out of proportion to my waist. Is any one else have a problem with theirs being a little see-through? I have been in search of a DIY flamenco dance skirt for practice with a 'mermaid' waist (as it is referred to in Spanish!) and this is absolutely perfect. I have some knit fabric in my 'stash closet' and might try to give it a fancier edge with the serger to make the hem flare nicely. I suspect if I crank out a few of them, I just might be able to make enough $$ to pay for my lessons! Mil gracias! When I finish one that makes me happy, I'll share the results! It's a shame I can't post pictures! I now have a very pretty skirt, as does my daughter... 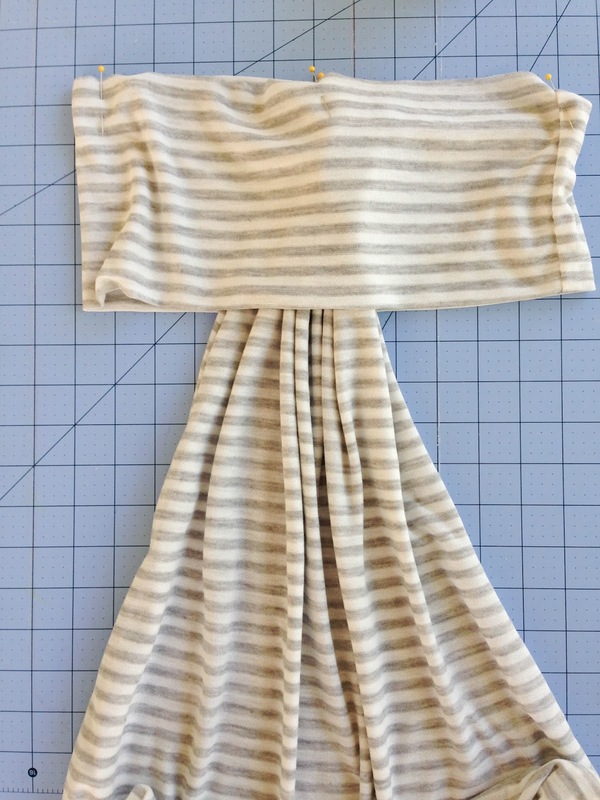 I also adapted the pattern to make it into a dress for my daughter and added ribbons to make them halterneck dresses... So out of 4 metres of material we got 2 skirts and 2 dresses!! Not bad for £16!!! I am a size 2xl (22-24). How many yards would I need to use? Thanks! April, just add 12" for the waistband to the length that you want the skirt to be plus a 1" seam hem. 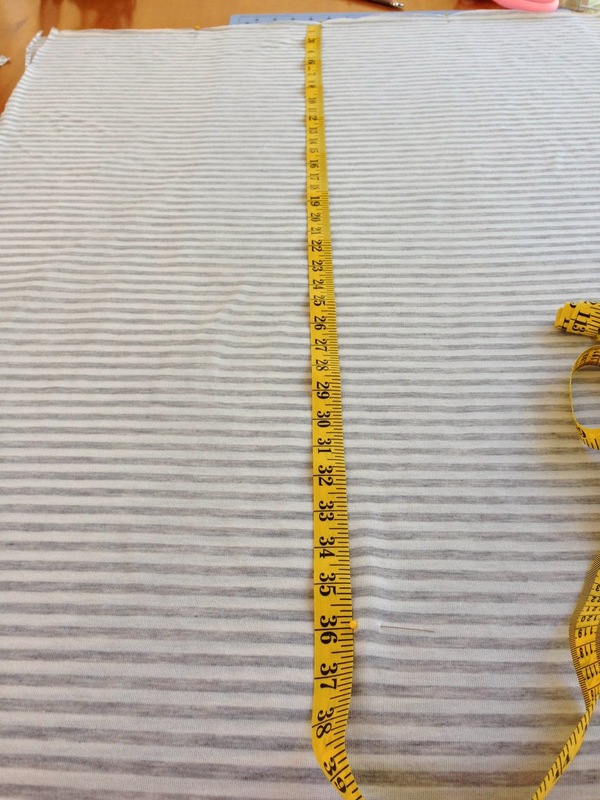 For example, Stephanie wanted her skirt to be 34" long so she added 12+34+1=47". Outstanding tutorial. Thanks for breaking this down and making it very easy to understand. Best directions ever! Thank you for being so awsome! 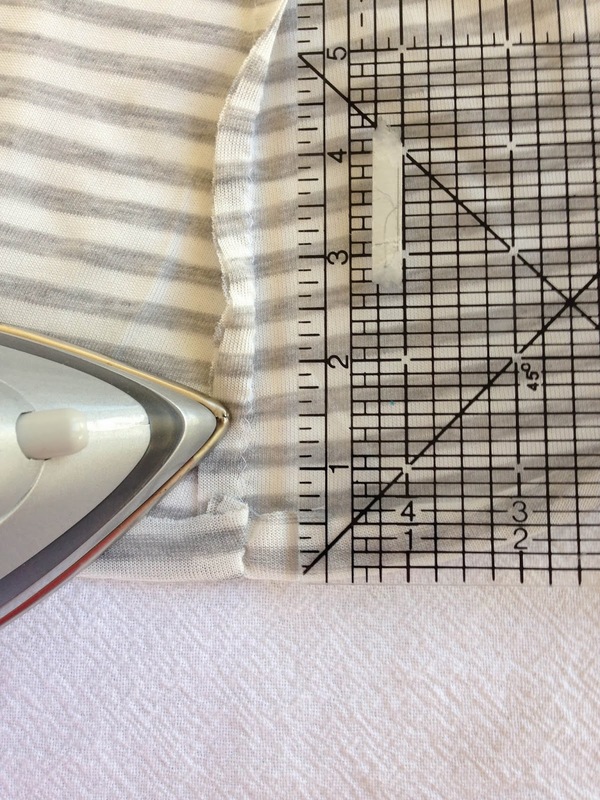 Just a thought: a twin needle would make a really professional-looking hem! 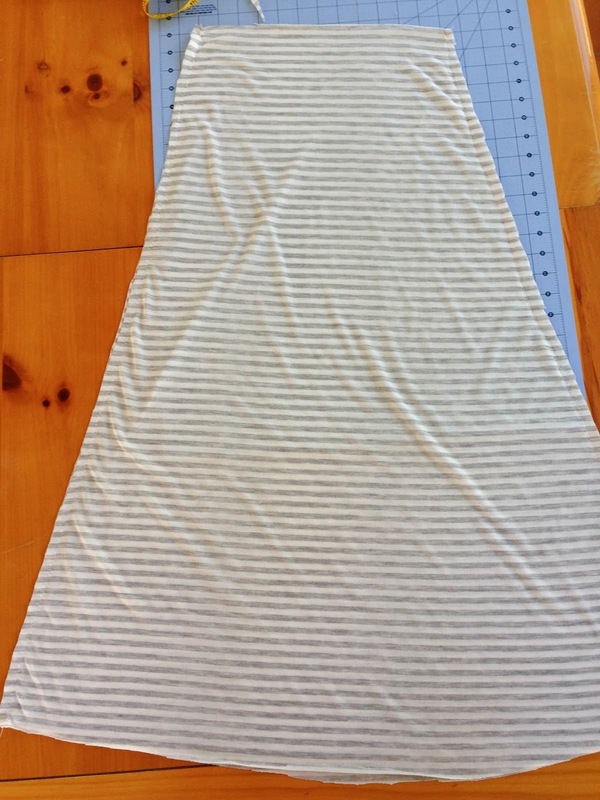 I just tried to make a tshirt maci dress and it just isn't looking right... Now I'm going to try to make it into a maxi skirt. Fingers crossed this works!! Thank you thank you all for your positive comments! Sending my love! 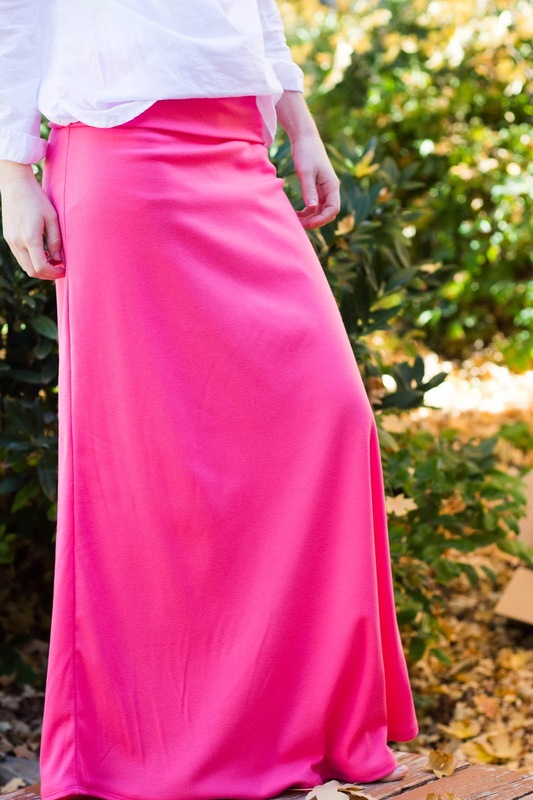 I love the look of this skirt. How much yardage would I need if I were just making the skirt and not the rollover waistband? I want to try making it with two different colors. Do you happen to have a video tutorial on how to make this skirt? The directions are pretty simple but I'm still getting lost (beginner sewer). I will make one come spring! stay tuned! Quick question: When you put your waist band and your skirt together did you put the skirt part in between the 4 layers of fabric? So it would be 2 layers of waistband th skirt and the other 2 layers of waistband? Do you have a picture of it so it's clearer of where to place and how far up to place the skirt with the waistband? Do you think it would work if I put the waistband seam at the center back instead of along one of the skirt side seams? Or fake a seam on the folded side of the waistband? 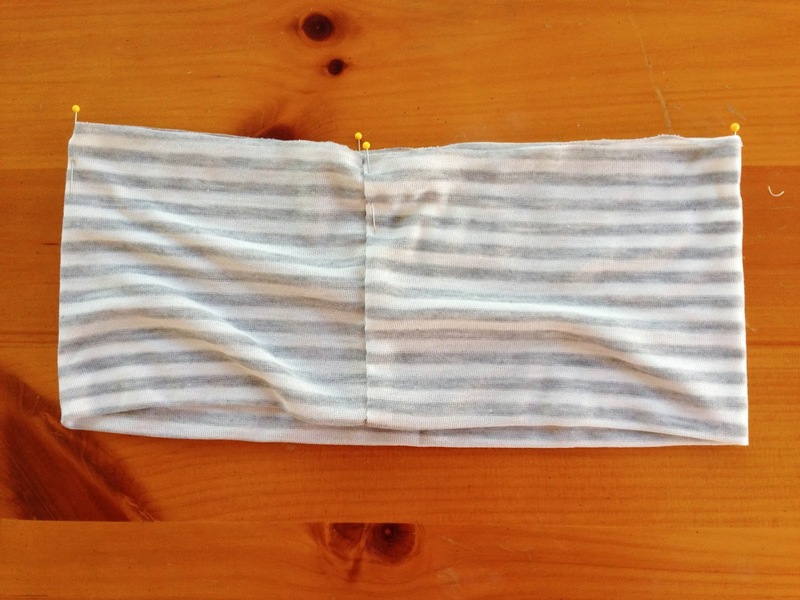 I don't really want the waistband to have a single side seam.